Well, we were up about 6:30 this morning, way too early. I mean, this, and I have to have a hole drilled in my head too? Anyway, we headed out about 7:15 with a stop for breakfast at a nearby McDonald’s, before getting to Dr. Roger Moore’s office about 7:45. I was taken back to the treatment room a few minutes before 8, and the doctor came in about 5 after. A very nice guy, he had me carved up in about 15 minutes, and then I went back out to the waiting room to wait for the results. It apparently takes about an hour to freeze the carcinoma, section it, and then look at it. In my case, he didn’t quite get it all the first time. He needed to go a little deeper. So it was back into the treatment room for another 10 minute session, and another hour wait. But when I got called back in the next time, the doctor said they got it all that time, and he was now ready to stitch me up. Which again took about 15 minutes. I never felt the slightest bit of pain from the beginning to the end, even from the local anesthetic needle.at the start. All I could feel was dull pressure. 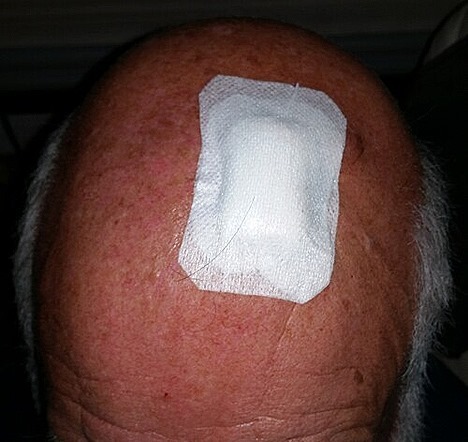 They take digital photos along the way, and I got a look at how my head looked after the stitches and it’s really puckered where the skin was pulled together over the hole. But right now it looks this this. We were out of the office about 11:30, which meant the entire procedure took about 3 and a half hours, which is about what they said it would be. I will not have to go back since the stitches they put in are dissolvable. So hopefully, this will be the end of it. As far as the Just in Time part, we were really lucky that there was a cancellation so I could have the procedure done today. As we were walking into the office there was a sign on the door saying they would be closed all next week for the 4th of July Holiday, so we would have had to delay our leaving on July 7th as scheduled. To reward myself for being such a good patient (after all, I didn’t get a lollipop or anything. ), and since it was lunchtime, and we were hungry, we stopped for lunch at the Steak and Shake near the RV Park. 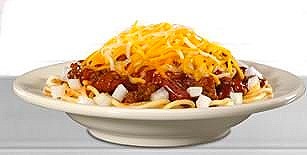 We both wanted to try their version of Cincinnati’s Chili 5 Ways, so we got one and split it. Jan actually liked their version a little better than the Skyline version we buy. 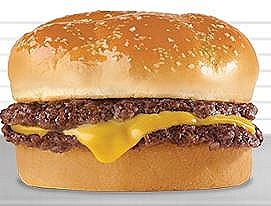 Jan had the Garlic Double SteakBurger with a bun topped with, what else, garlic butter, and then toasted. 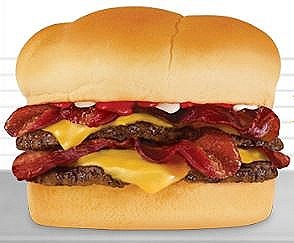 I had the Bacon Lover’s Double Steakburger. It’s been a while since we’ve eaten at a Steak and Shake, just like Taco Bell the other day, and like Taco Bell, this was really good today. We’ll have to go back. I do want to thank everyone for their good wishes and prayers this morning. It’s always nice to know you have friends who care.